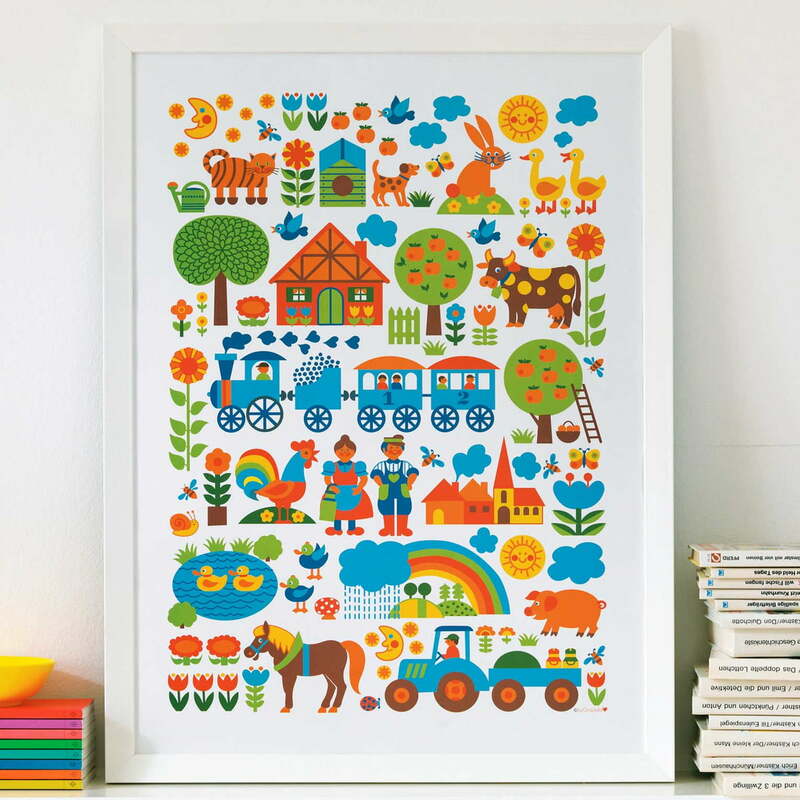 The Poster Farm by byGraziela appears with the classic farm motive by Graziela Preiser. 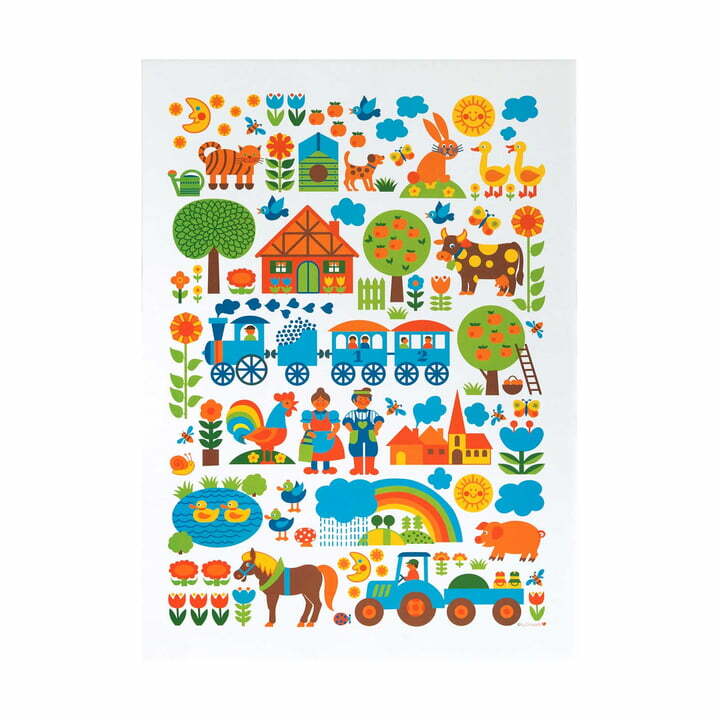 The farm was designed as long back as 1977 and is a great eye-catcher in the children's room as decorative poster! The charming farm poster is an ideal present for any byGraziela fan, be they old or young. Many happy motifs in warm colours cover the poster adapted for children, so that children will again and again find something new to discover and marvel at. byGraziela delivers the farm poster without frame, rolled and safely packaged. It suits common standard frames. Each poster is manufactured in Germany and is printed with nonhazardous inks according to EN 71.